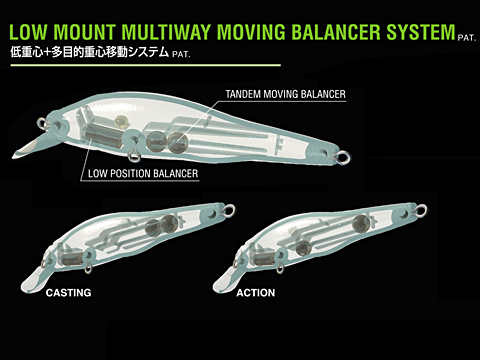 A well-kept secret of the Megabass Pro Team, the TRICK DARTER features the same legendary MULTI-WAY MOVING BALANCER SYSTEM (PAT.) as the VISION ONETEN, and is designed to move with an insane darting action that surpasses that of even the VISION ONETEN. With the addition of a fixed balancer in front, a spoonbill lip, and our infamous tungsten balancer system, the TRICK DARTER will truly "flee" erratically with short snaps of the rod, and draw reaction strikes from the most timid fish in the lake. 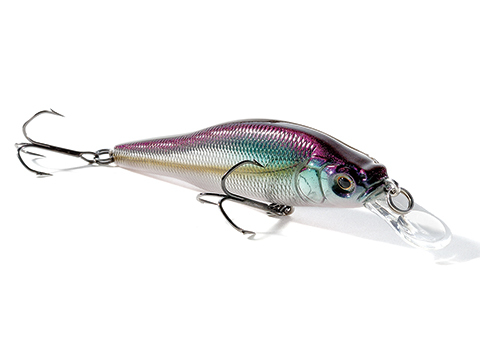 Unlike conventional minnow–shaped jerk baits, the X-80 looks more like a shad or a shiner. Since baitfish with wider bodies flash more noticeably and are heartier meals for predators, the X-80 will attract larger fish. Furthermore, the X-80 swims with a distinct rolling wobble, an action that helps put our baits a world apart from the rest.